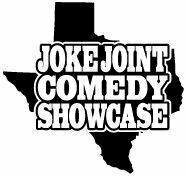 Houston, the newest open mic takes takes at the recently opened Joke Joint Comedy Showcase. You will see local and national touring headliners take the stage as well as first timers and everything in between. It’s a great night of entertainment. Just show up! It’s a free show. So make it a night out with friends. Birthday parties? Ladies night out? Just some time away? Sure! Laughter cures all!! !